This list of shooting ranges in Utah is compiled by the NSSF, each range links to a page with more information about that particular range. Our favorites are in bold type. These days, anti-gun advocates will do just about anything to push guns out of the American experience and into a dark closet (where eventually they’ll probably be found by children who’ve never learned about guns and who’s curiosity may just get the best of them). Quick example: left-leaning politicos and anti-gun groups who shot down federal funding of Project Child Safe. While school rifle clubs—and even in-school shooting ranges—used to be the norm in schools (and mass shootings in schools were nearly non-existent), today, the only training kids get about guns is from TV, movies and video games—some of the absolute worst places they could possibly learn about the important subject of guns, gun safety, and their role in American culture. Thankfully, Utah is leading the way in turning the hypocrisy on it’s ear. A bill sponsored by Utah State Senator Todd Weiler will grant $75,000 toward creating a pilot program that would give Utah parents the opportunity to enroll their children in gun safety courses through their child’s school. 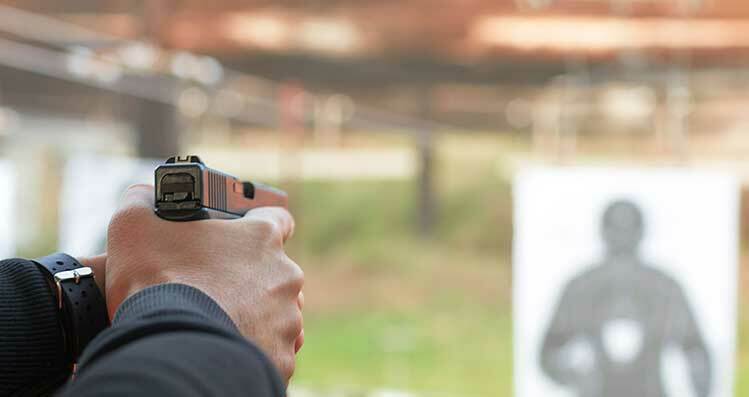 These courses would teach students in grades 5-12 what to do if they find a firearm (namely: Stop- don’t touch it, leave the area, and tell an adult). It will also train students how to respond in other scenarios involving gun violence from an active shooter. 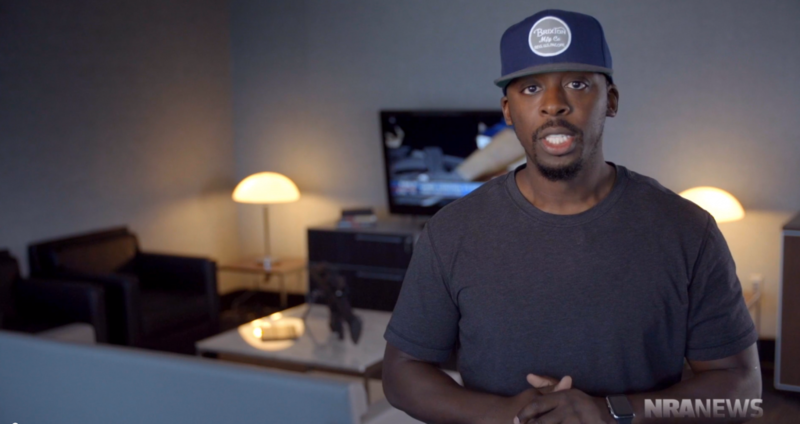 If you’ve never watched Colion Noir’s videos, or the NOIR show on NRA News, you should. You’ll be impressed at the way he lays out the arguments without judgement, and in a way that might give you ideas about how you might approach those opposed to individual gun ownership in your circle. Hint: Take them shooting. Is owning a gun about gaining power? In some cases, absolutely. A tragic story with a great perspective, this is 4 minutes well worth watching. You are responsible for your firearms at all times from the moment you own it until you no longer do. Safe gun storage is one of our primary responsibilities as gun owners. We must ensure that our firearms are always stored and used safely. Proper storage is the #1 way to help prevent firearms accidents. Safe gun storage usually means at least a small investment in addition to the original price of the firearm, but it’s a expense that must not be overlooked, and that will certainly be worth the money. Options for safe gun storage are found in the infographic below. If you have any questions about how to store your firearms safely while still keeping them accessible for immediate use, or if you need a lock for your firearm, please contact us at info@crockettdefense.com. James Dittrich and Meredith Duffy were victims of a brutal home invasion last year. Their horrific ordeal and injuries were captures by ABC’s “NYMed.” James saved both of their lives that night by resisting their attackers, and while they paid a high price, they are alive to tell the story. Not surprisingly, their views on guns have changed along with their experience. Thanks to the National Shooting Sports Foundation for putting together this infographic that details the great impact target shooting has in our country. Millions of shooters and billions of dollars (especially at today’s ammo prices). One of the interesting stats they list is that 30% are women. While that’s an ok number, we’re seeing closer to a 50/50 split of men and women in our classes (of course in our ladies-only concealed carry classes, the percentage is quite a bit higher)—and that’s great! 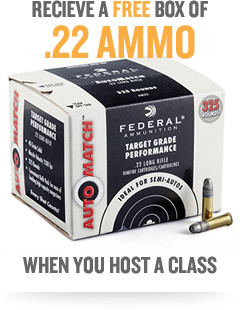 Go shooting this weekend—it’s great for your aim, and great for the economy. The Colorado student who took a shotgun to school in December 2013 and shot Claire Davis did not have the chance to kill more students as is often seen in recent active-shooter incidents. Why didn’t he shoot and injure and kill more people? Why has the media ignored the reason? Both have the same answer. Because he was stopped by someone with a gun! What’s that? You didn’t hear that in the news? Imagine that! 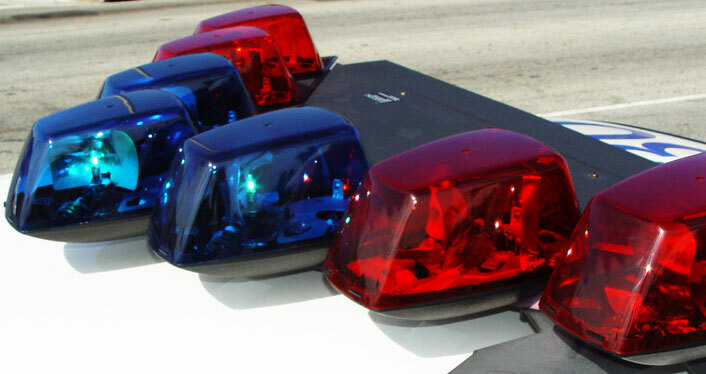 An armed school resource officer ran to the sounds of gun shots and confronted the shooter. At that point, the 18-year old shot himself. The total event lasted only 80 seconds. The police arrived about 10 minutes later. That’s why the shooter didn’t kill more people. There was someone with a gun there! There are two reasons why you didn’t hear these details. What is firearms training, really? I haven’t had any formal training but I’ve been watching videos on YouTube and going to the range to practice. Now, before we get into it, don’t misunderstand. We love Hicock45, NutnFancy, and all the rest. In fact, we feel so strongly about GunTalk’s First Person Defender that we’ve posted the series here on our website to make sure our students watch and learn from them. However, seeing is different than doing. Say you went into a hospital for a risky surgery that your life depended on and you asked your doctor if he’d ever done the procedure before. He responds “Well no, but I’ve watched hours of footage of other doctors doing it.” What would be your response? You’d probably find another hospital. We would. So why would you trust something equally as serious—a true life or death situation—to a few hours of “training” on the television or computer? Guns have changed, shouldn’t our gun control laws? By now, many of you have probably seen the video put out by gun control group “States United to Prevent Gun Violence” which portrays a man walking into an office building and taking a shot at employees with a muzzle loader. After his first (missed) shot, he stops to reload while everyone safely exits the building with plenty of time before the man is able to fire another shot. It’s a clever advertisement attempting to prove how stupid we who value the right to protect ourselves (from criminals, tyranny, etc.) really are. And it’s likely it will have some effect—I’ve already seen at least three people I respect post it to Facebook—but the effect will be limited to those who are easily swayed by smooth marketing and talking points, or who don’t really understand the issues at hand.